In an interview with journalist Jeffrey Goldberg, French Prime Minister Manuel Valls said that a mass migration of Jews out of the country spooked by last week's terror attacks would be evidence of “the failure of the French Republic.” Jews are essential to France's identity as a democracy, and without Jews, “the soul of the French Republic would be at risk,” Valls told Goldberg. 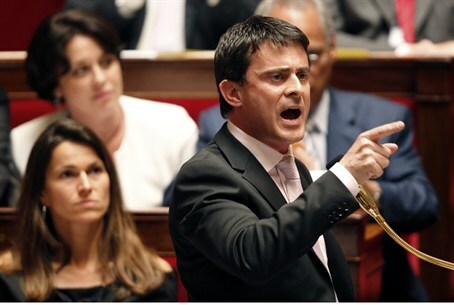 “The choice was made by the French Revolution in 1789 to recognize Jews as full citizens,” Valls told Goldberg. “To understand what the idea of the republic is about, you have to understand the central role played by the emancipation of the Jews. It is a founding principle. Four Jews were killed in the terrorist attack at the Hyper Cacher market in Paris last Friday. the CRIF umbrella group of French Jewish communities said. CRIF identified the victims of the attack Friday as Yoav Hattab, 21, Philippe Braham, in his 40s, Yohan Cohen, 22, and Francois-Michel Saada, in his 60s.